While you could argue that the LN5300’s 39-inch display is a bit too big for its 60Hz britches, we still think it offers serious value for the money. LG LN5300 Series information: This review is based on our hands-on experience with the 42-inch LG 42LN5300 TV. However, our observations also apply to the 32-inch 32LN5300 and the 39-inch 39LN5300. 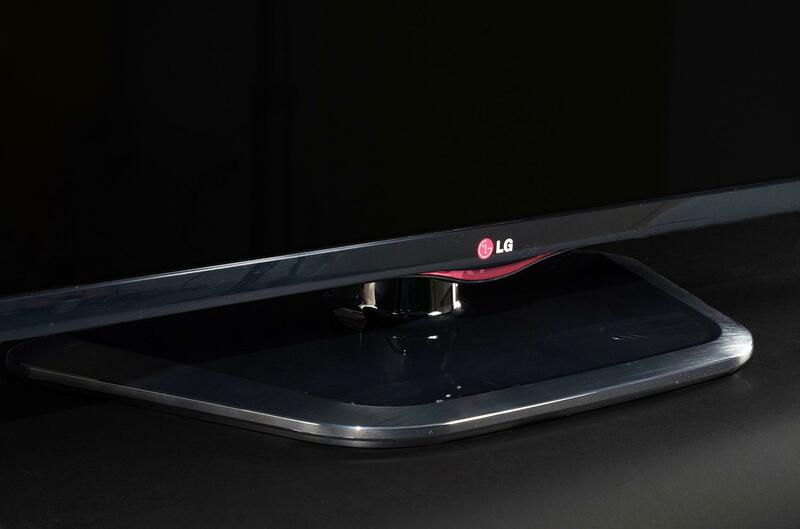 According to LG, the three sets differ only in dimension and weight and offer identical features and performance. You may have noticed that there’s a colossal array of LCD TVs available these days. Many models are similarly priced, and all of them tow a host of confusing (and sometimes misleading) features behind each model number. In an effort to help you sift through the menagerie of choices, we’ve been plucking selections from the top brands right around the $500 range, with recent looks at the Samsung UN32EH4003F, the Vizio E420i-A0, and the Sony Bravia KDL-40R450A. The next stop on our exploration through the bargain basement is the LG 39LN5300 (LN5300). A sort of bread-and-butter TV, the 60Hz, 1080p LN5300 doesn’t include frills like a Smart TV interface or 3D, but it does offer a slim design, a 39-inch screen, and LG’s well-reputed name for about $480. Even in this super-saturated market, that’s an alluring deal. The question is, how does LG stack up to its competitors? After a solid week of testing the LN5300 from every angle, here’s what we found. In this age of featherweight TVs, the LN5300 comes in a bit heavy for its size. At a little over 20 lbs., it feels a lot more substantial than the featherweight Sony 40R450A. 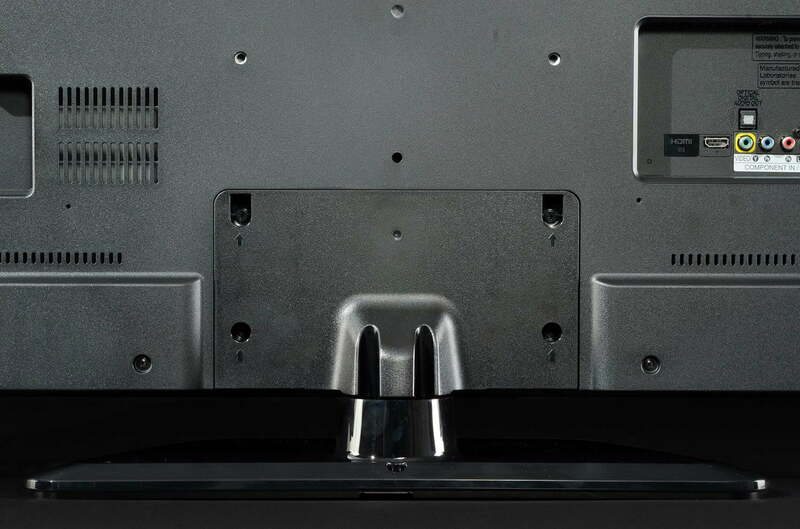 Pulling the TV from its box revealed a relatively slim bezel, outlining a minimalist design. The front face is disturbed only by a small LG logo above a Knight Rider-esquered light bar. Like most LED backlit designs, the LN5300 isn’t ultra thin, measuring a little over 3-inches in depth. Many of the TVs we’ve seen at this price point seem to blend together, displaying moderately thin dimensions, and obligatory gloss-black exteriors. That said, the LN5300’s succinct design strikes a nice aesthetic, and looks good on its stand or mounted on a wall. It doesn’t take long to tour the LN5300’s input section. 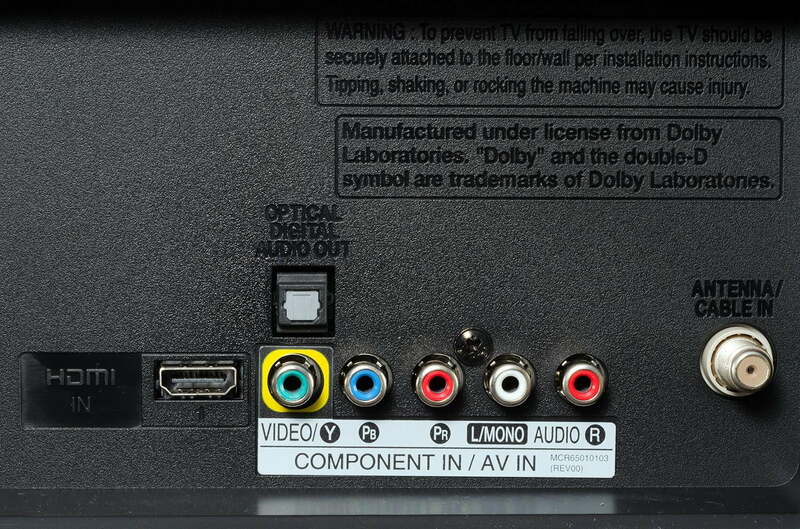 On the TV’s back panel we found an HDMI input, hybrid component/composite connection, coaxial cable input, and a digital optical output (no analog audio outputs, sorry). To the left of the display is a side bay which hosts a single USB input for media, and a second HDMI input which also doubles as an MHL input for linking up your smartphone (if you’re into that sort of thing). On the opposing side are the TVs basic on-board controls. 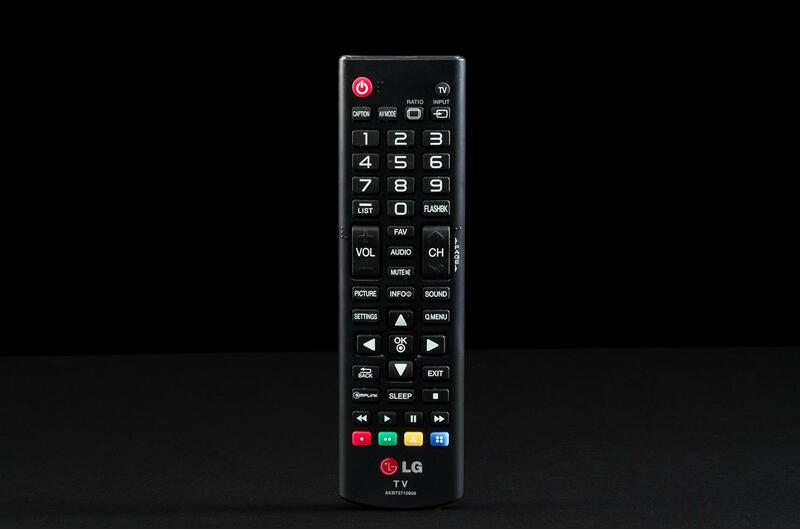 The LN5300’s remote provides few surprises; it’s the same mass of buttons crammed on a small wand that we’re all getting used to. However, LG does try to incorporate some thoughtful features. For instance, dialing any of the numeric keys pulls up any channels that have corresponding numbers, and a ‘list’ button displays all available channels on a small menu screen. To access the menu, LG provides a settings key as well as three separate buttons (sound, picture, and menu) that all bring up the same quick menu, almost as if LG was trying to fill up space for symmetry. Still, the keys are nice for fast adjustments, as each highlights its specific setting. In order to control separate components, the remote has a button called Simplink which is designed to “simply” “link” HDMI connected devices. Unfortunately, Simplink only works with select devices that incorporate its proprietary technology, making it useless unless you own the proper hardware. After some modest adjustments to backlight, color, hue, and tint, the picture was consistent across all inputs. Like many of its competitors, LG has also begun slipping some of its more advanced options into lower tier models like the LN5300. One such option is LG’s Real Cinema, a frame replication technique that LG employs in an attempt to eliminate the judder that can occur when using the good old 3:2 pulldown to transfer film content for television playback. However, we noticed the frame replication smoothed out the movement a bit too artificially for our taste. 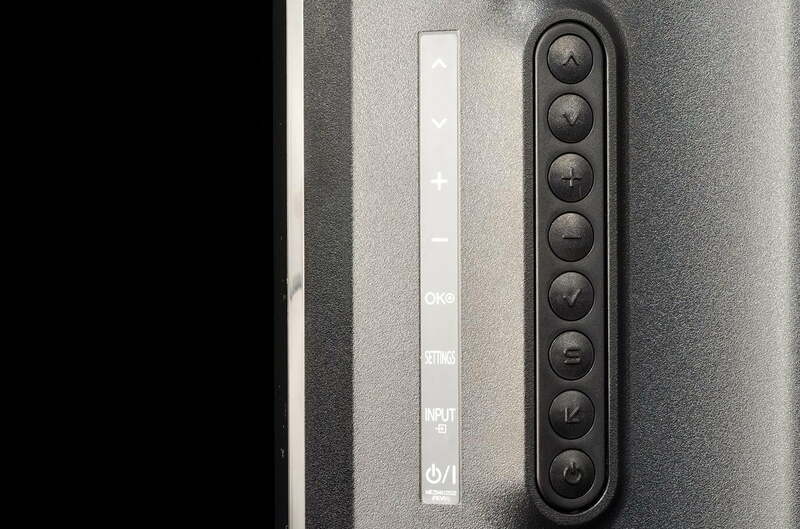 So, like most of the LN5300’s digital enhancements, we turned the feature off. Perhaps one of the LN5300’s more useful features is LG’s Picture Wizard, which helps guide users through basic picture adjustments. We tested the feature out and found it to be a decent tool for the uninitiated. However, since the LN5300’s setup options are relatively complicated, we wished Picture Wizard had a bit more magic up its sleeve – more on that in a moment. The LN5300’s picture looked decent right out of the box, but there was a good bit of work to be done before we got things looking consistent across all inputs. As mentioned above, the initial order of business was to investigate, and then subsequently deactivate, most of the digital tricks LG adds to its advanced adjustments menu. First, however, we had to choose a starting point. There are several picture modes available (7 in all), including options like Standard, Vivid, and a couple of “Expert” modes. Ironically, we found the Standard mode to be slightly more complicated than the Expert modes, harboring some real danger zones in the advanced options. Settings like skin color, grass color, and dynamic contrast can quickly get novice users in trouble. Standard mode also has no temperature color presets, opting for a more complex 100-point warm-to-cool slider tool instead. Though Expert mode has its own Pandora’s Box of advanced options to circumvent, it was still much easier to navigate and closer to our ideal picture setup by default than the other modes. We also appreciated the option to apply settings to all inputs. After some modest adjustments to backlight, color, hue, and tint, the picture was consistent across all inputs. The LN5300 has one of the more brilliant color spectrums we’ve seen at this price point. Once dialed in correctly, the TV displayed fantastic color contrast across all media, with vivid skylines, rich green and red hues, and accurate flesh tones. The picture was sharp, divulging fantastic detail, though we did notice some slightly dingy spots when viewing the brightest whites. Other than that, we thoroughly enjoyed the LN5300’s clarity and deep array of colors. The TV’s sharp image and vivid color output provide an enjoyable viewing experience for a seriously low price. Contrary to some of the other LG TV’s we’ve reviewed, we came away impressed with the LN5300’s contrast performance, especially considering its price. Viewing our darkest test subjects like Aliens with Black Level set to Low, we enjoyed a uniform backdrop with no visible bright spots. 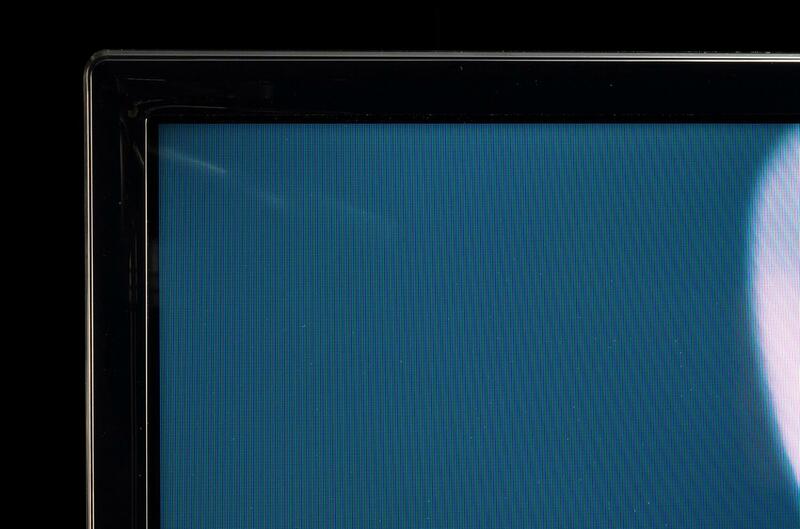 There was a bit of a blue tint to the deepest blacks of space, but it wasn’t anything out of the ordinary for an LCD panel, and seldom distracted us. We also noticed a slight lack of shadow detail when things got their absolute darkest, but it was nothing that would put us off from the set. Our main point of concern with the LN5300 came when we cued up some of our fastest-paced test scenes. It was immediately clear that the large display had some trouble with fast motion, quickly blurring under the strain of fast camera movement. This shortcoming was particularly well-highlighted while watching the NHL Stanley Cup playoffs. Motion was jarring as we attempted to follow the strafing camera around the arena, our eyes tiring in short order. While motion issues are inherent on most low-priced LCD displays (especially those with 60Hz refresh rates), the LN5300 seemed to perform more poorly than many of its peers. We also developed a like/hate relationship with the TV’s audio performance. Though there are several presets available (music, cinema, standard, etc), all of them exhibited thin, spikey treble, and an anemic lower register. We’ve heard worse performances, such as that of the Samsung 4003, but suffice it to say we were less than impressed with the output, and underwhelmed with the paltry dual-fader EQ as well. Thankfully, the set’s digital optical output makes the addition of even an inexpensive sound bar easy enough. On the other hand, the set’s virtual surround sound wasn’t too shabby. We even experenced a few moments in which sound seemed to come from a couple of feet outside of the display. That may seem like a pedestrian feat, but for an entry-level flat panel, it’s above board. Still, our thesis statement for the audio performance is: If you hold audio in high regard, you’ll want to buy a sound bar or some other alternate audio solution. While you could argue that the LN5300’s 39-inch display is a bit too big for its 60Hz britches, we still think it offers serious value for the money. The TV’s sharp image and vivid color output provide an enjoyable viewing experience for a seriously low price. The poor audio performance, and affinity for jitter gave us pause, and those looking for a broader feature set would do well to consider the previously mentioned Vizio E420i Smart TV. With that said, we still think LG has struck a nice balance of quality and affordability with the LN5300. It’s definitely worth considering. The following settings were arrived at through a process of manual adjustment and further adjusted for preference. As indicated in our How we test televisions article, processing such as noise reduction and dynamic contrast are disabled for picture and testing purposes. They may or may not be re-engaged based on subjective preferences gained from observation during real-world performance scenarios. Though we arrived at these settings with a specific TV size, these settings can be used for any of the sizes in this TV series with consistent results.